SMELL PROOF TECHNOLOGY BUILT INTO THE CASE LOCKS IN ALL SMELLS - Have full confidence knowing the HG Bag contains all smells while keeping your goods fresh! 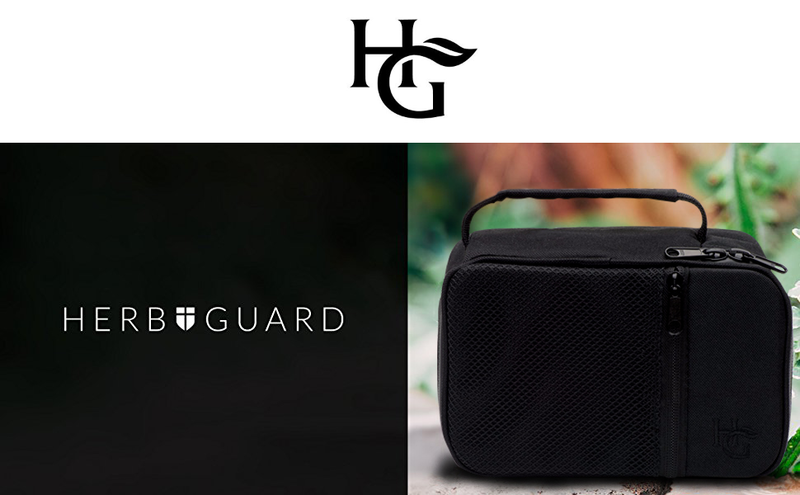 The Herb Guard Smell Proof Case is designed to keep your contents fresh and safe whether you're looking for storage in your home or while your traveling. The case comes equipped with 2 smell proof travel bags and a smell proof glass storage jar. The case holds up to 3 oz's and measures at 9 by 6 by 5 inches, large enough to comfortably hold all of your items yet compact enough to store and travel comfortably. The Herb Guard Smell Proof Case makes for the perfect travel companion when keeping your goods fresh and protected. The case is small enough that it's easy to travel with and store in your home, yet large enough to hold up to 3 ounces of your favorite coffees, herbs, spices and teas. It also comes with a convenient mesh pocket on the outside cover to conveniently organize and pack accessories and keep them separate from your goods inside the bag. With the Herb Guard Smell Proof Case, you're getting much more than just a bag and storage container. The case is the ultimate bundle and comes with 2 smell proof bags and a smell proof jar to make traveling and storage easy and convenient. The case also comes equipped with dividers that can be removed and customized, allowing you to store and organize your items any way you want! The bag is lined with a carbon fiber, smell proof inner lining. This lining contains tiny pores and pockets that trap any smells that your goods give off. 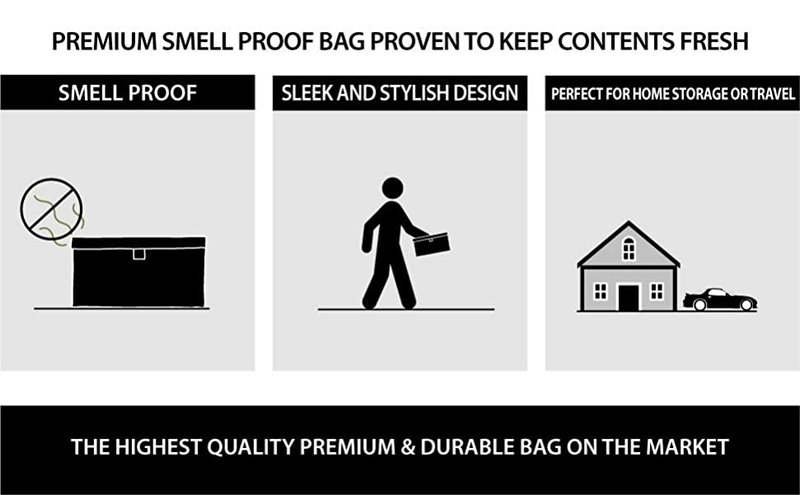 The carbon lining along with a double velcro seal makes the bag 100% smell proof! The discreet and stylish design makes the bag the perfect accessory for parties, camping and travel or everyday storage needs in your home. The sleek and lightweight design makes the bag easy to travel with and very accessible! How does the case keep contents smell proof? The smell proof case and bag contains an activated carbon lining with tiny pockets that trap and eliminate even the strongest smells. No matter what you store inside the scent will be gone. Does the case remain smell proof? How long does do the smell proof properties last? The case remains smell proof for many months and even years. If it does being to release smell, put it in the dryer or take a hair dryer to the inside of it on light heat to reactivate the carbon lining. Is there a warranty or money back guarantee? How is this packaged and shipped? The packaging is simple and discreet. It is shipped in a plain box with the case inside.